A cosmic flower is a pulsating, circling shape of pastel yellows, blues and pinks. A cosmic flower unfolding is something greater; an electric kaleidoscope of breathing flower forms swirling and dulling to tease the mind and invite the eyes to a show of pure energy and existence. This is the abstract work of SF State Assistant Professor Ben Ridgway, whose short film, “Cosmic Flower Unfolding,” is set to be displayed at the SF International Film Festival April 26. Ridgway’s name is now added to the list of filmmakers featured in the upcoming festival, which also includes SF State Cinema Professor Jesse Moss. 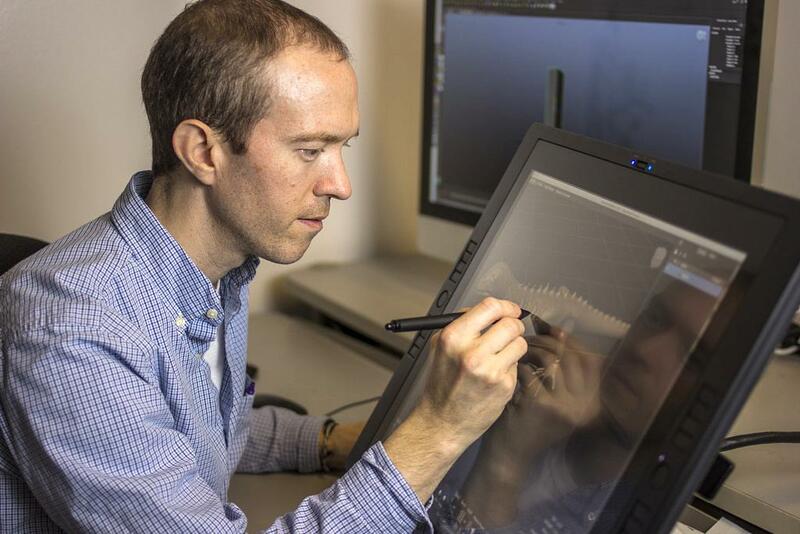 Ridgway teaches animation at the college and his 2-minute film displays the vibrant movements of animated flowers, made from his own illustrations and sculptures he produced through the drawing program ZBrush. Ridgway said he didn’t have a plan when he began the filmmaking process, but that this method is nothing new for him. Ridgway found inspiration for his film from studying the ocean-life illustrations of Ernst Haeckel, a 19th century German biologist, philosopher and illustrator. Ridgway sought to replicate Haeckel’s work, but instead created a film that combined this and his own previous illustrations, as well as the image of a face he saw one day when figuring out how to animate a flower unfolding. Sean Uyehara, a programmer for the SF International Film Festival, selects and programs films for the festival’s “shorts” category and said selecting Ridgway’s film was an easy choice. “Cosmic Flower Unfolding” previously won the Royal Reel Award for animation at the 2014 Canada International Film Festival and received a selected screening at Columbia’s 2013 CineToro Film Festival. Ridgway also delivered a special presentation of the making of the film at the 2013 international computer graphics convention known as SIGGRAPH. Ridgway’s latest film, “Tribocycle,” has also received its fair share of recognition. Kim Baca, marketing and communications director for the Institute of American Indian Arts, said the film will be shown at Currents: The Santa Fe International New Media Festival in June. Currents partners with the institute and “Tribocyle” will be displayed on its giant Digital Dome, the only articulating dome in the world that can rotate 90 degrees to provide unique viewing experiences. Ridgway said that of all the prestige his work has received, he finds it most rewarding to know what viewers think of his films and how the colorful animated images left them feeling.